Update Friday is the very first Berenstain Bears book, which I'm just showing off because last year I found a mess of dust-jacketed first edition Beginner Books, including this one. Reaching back to May 2008 for an update, please welcome Papa Bear and Small Bear in all their old school glory, The Big Honey Hunt! Oh don't you love the original berenstein bears... before they became all modern and packed with "issues" they were quite my favorite books as a child... Oh The Bear Scouts and The Bike Lesson were so brilliant too. hey you... antmusic. i was just thinking about you the other day... where have you been? I've been doin' pretty durn okay. I recently started proofreading, Copyediting, and more for a publishing company (it is awesome reading some of my favorite authors' works long before the stuff gets published...can you say, "Kid+Candy Store=Me," I knew you could). All that along with my normal job and my most important job: My kids. Blogging has been put to the side for now. Oh! I have been looking for this book everywhere (which is difficult when you're unsure of the title). We are a family of beekeepers, and our son is going to be turning 1 in July—we thought we would have a honey/bee themed party since it's the first time he can have honey (botulism before 1), and I was going to get a few honey-themed books/gifts. 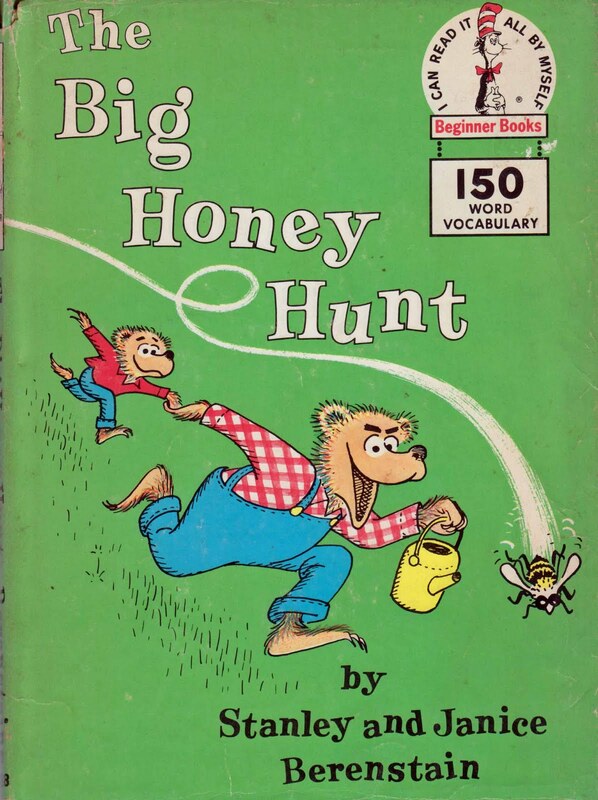 So far I got "Show Me the Honey" from the Dr. Seuss collection of "easy readers" but haven't found anything else. Thanks for the heads-up! I'm a french mom and a french photographer. I've linked you since the beginning on mine. my favorite are richard scarry, arnold loebel, maurice sendak, and tomi ungerer. I'd love to recommend a book in a "guest post"called "alexander and the magic mouse", which I looooved as a child... could I do that ? Hi Julie. Yes I know and love that book but have never done a post on it. I welcome any and all guests posts, just e-mail me at webe(at)soon(dot)com.